Janhvi Kapoor with Anshula in Mumbai. 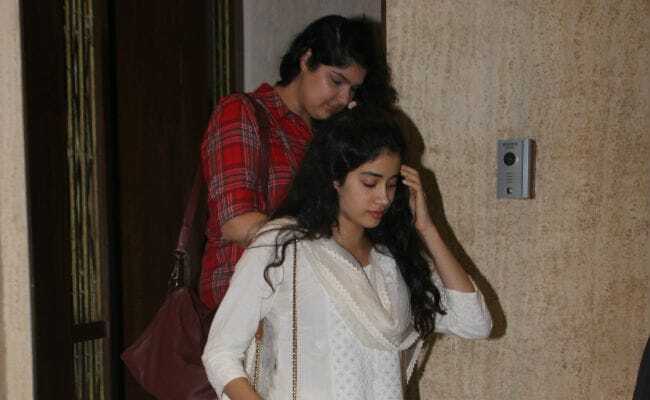 Janhvi Kapoor and her half-sister Anshula Kapoor met at Manish Malhotra's Mumbai home on Wednesday. Janhvi, who is all set for her Bollywood debut come July, was dressed in a white mukaish work suit while Anushla wore denims with a checked shirt. They exited Manish's home together but they left in separate cars. Janhvi is the elder of Boney Kapoor and Sridevi's two daughters while Anshula is Boney Kapoor's daughter from his first wife Mona Shourie (Anshula's elder brother is actor Arjun Kapoor). 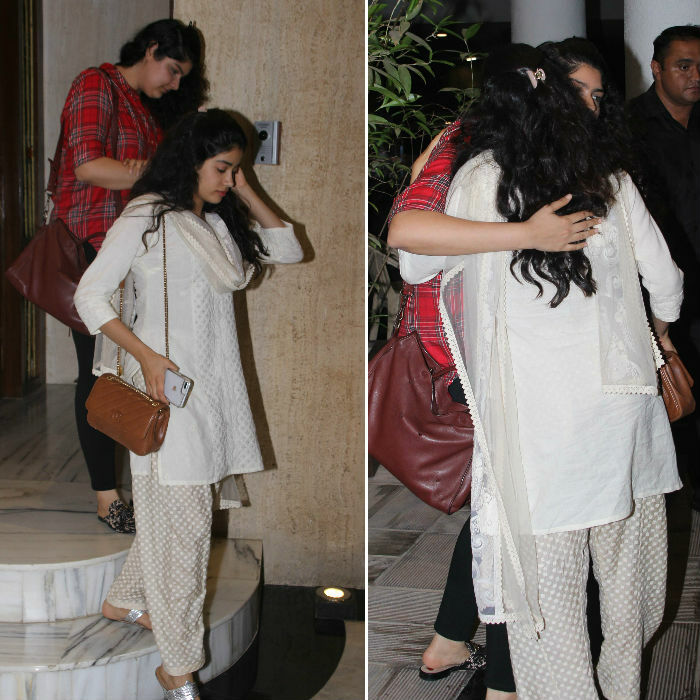 Janhvi's younger sister Khushi skipped the get-together, which was also attended by Karisma Kapoor. Janhvi swears by Manish Malhotra's designs and he's also in charge of her costumes in her debut film Dhadak. Janhvi and Khushi have been spotted with Anshula and sometimes also with Arjun after Sridevi died in February. Sridevi "accidentally drowned" in the bathtub of the hotel she was staying in Dubai. In March, Anshula, who was accompanying Arjun to the shoot of Namaste England in Punjab, returned in time to celebrate Janhvi birthday. 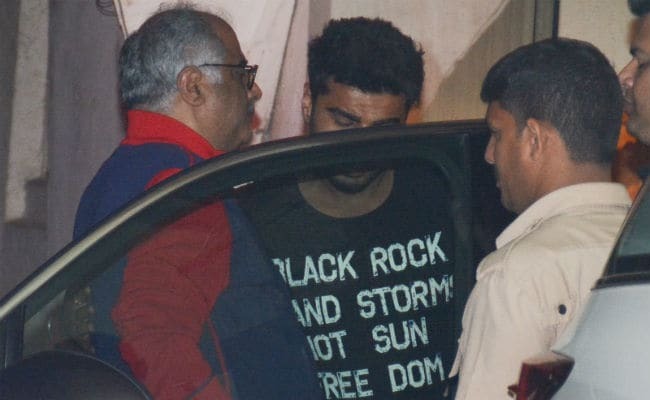 Arjun Kapoor, who skipped Janhvi's birthday dinner, met them later at his home. 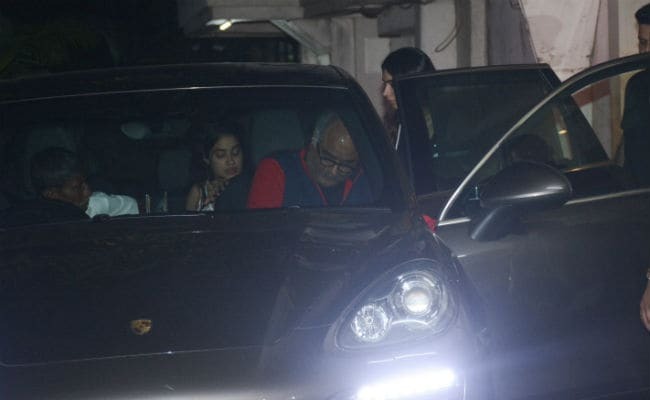 Janhvi and Khushi were spotted leaving Arjun's place with Boney Kapoor. Janhvi Kapoor, 21, is debuting opposite Shahid Kapoor's brother Ishaan Khatter in Dhadak. The film is directed by Shahank Khaitan and produced by Karan Johar. Dhadak is a remake of Marathi blockbuster Sairat. Shashank Khaitan is adapting the principal plot of Sairat in a different social milieu for Dhadak.